With ‘Makani’ and the new street signs just announced this week, JVT residents fear no more! Being lost in JVT will soon be a thing of the past. No more waiting hours for your food delivery. Visiting friends should find you without circling hours around the neighborhood! Coming soon to a villa near you! Nakheel has even designed a new community map. It’s color-coded by district. With three shades of blue and two shades of green, it is not clear that the color system will help much, but at least every villa and townhouse will display the district number. 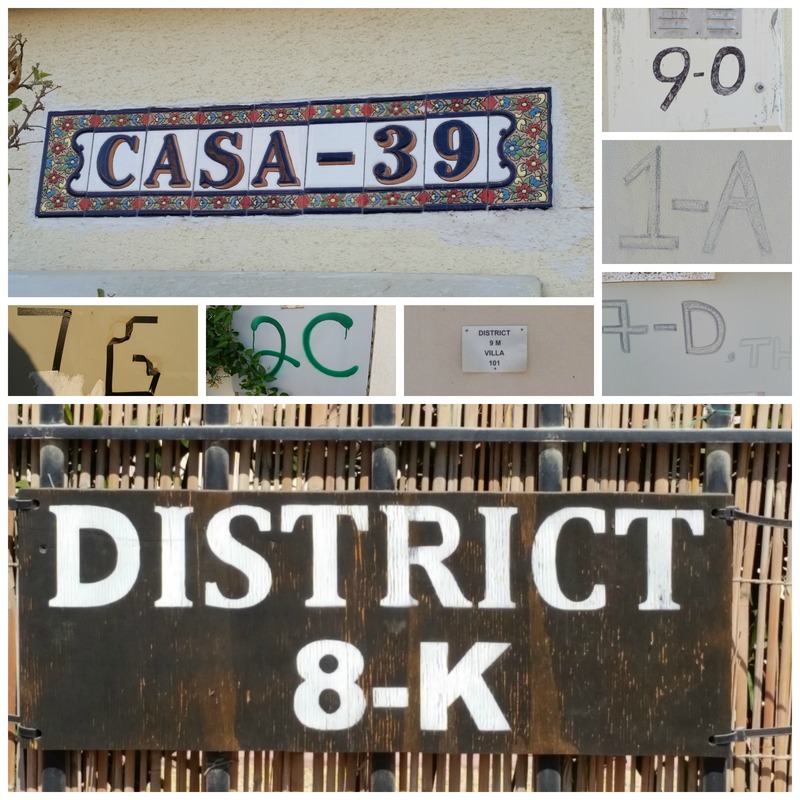 You’ll note that each house now has an alpha-numeric code. Overall, this represents a clear improvement. Looking forward to seeing if there will be any other directional or way finding signs in the future. Personally, I don’t care for the road-side advertising that recently sprung up along Tulip Street and wonder if the fees will at least be re-invested in community development projects. Let’s ask Nakheel. Access to Jumeirah Park soon? 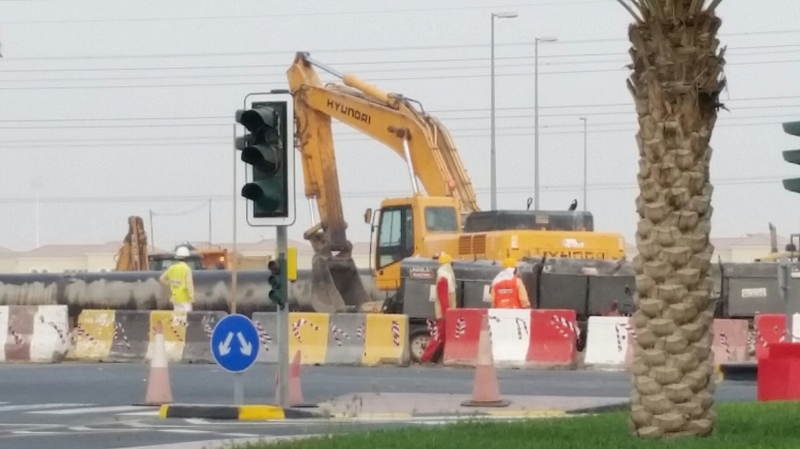 It looks like things are moving and the road through Jumeirah Park should soon be re-opened. Makani – My Location ! ‘Makani’ – this must be what Nakheel has been waiting for! 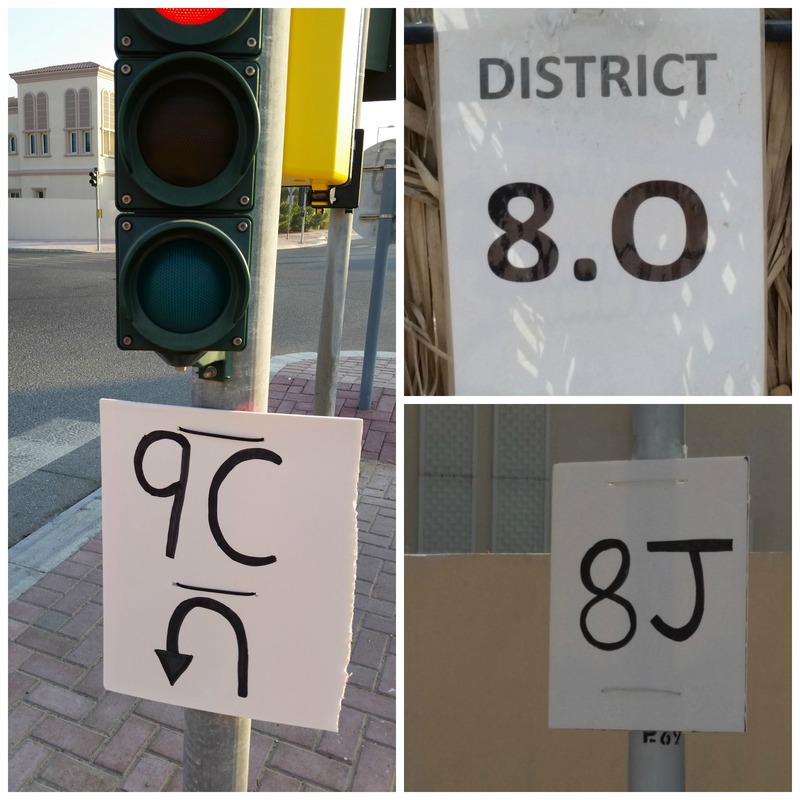 Under the new ‘My Location’ system, every house and building in Dubai will now have its own unique number. 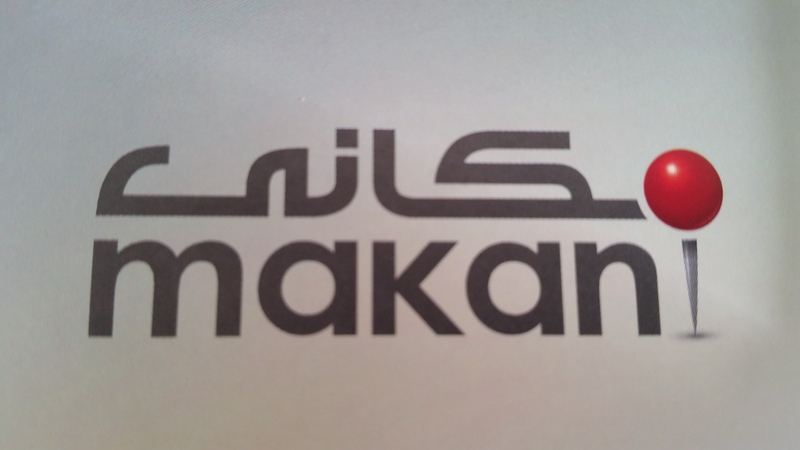 Enter the number on http://www.makani.ae and bam, you’ll be effortlessly transported to your destination on Google map. Beam me up Scottie! Well almost. Ask the site to give you directions or convert your Makani number into GPS coordinates to text to the person looking for your place. Nothing easier ! I’ve tested the new online system which seems to work effortlessly. I’m not sure why the App requires access to my contacts, however, so I think I’ll hold off on downloading this for now. At least we can certainly expect food deliveries, taxis and ambulances to find us now, even in the black hole of a Triangle where we live. 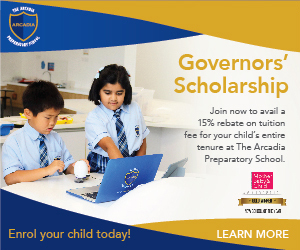 With this new initiative, we can clearly say ‘welcome to the future’! Have you seen anything this amazing elsewhere? 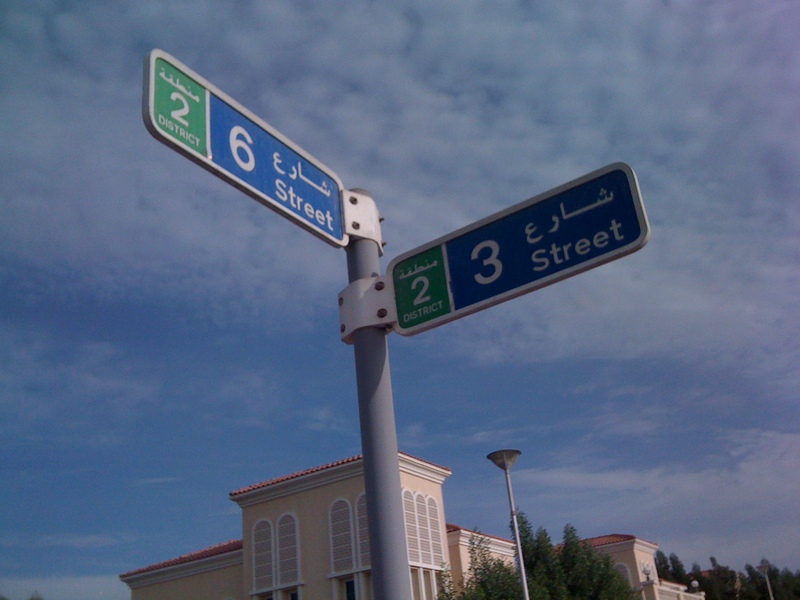 DXB Vision 2021 has just made street signs obsolete. 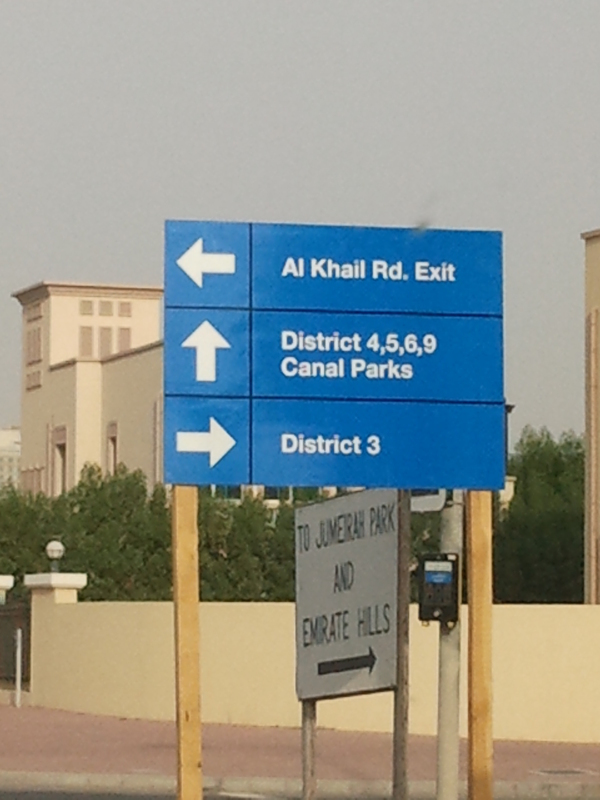 Let’s hope Nakheel is clued in and doesn’t waste any more of our money by investing in superfluous signage. Why bother now. We’ve managed for four years without any and now our smart city has given us a fantastic tool. You have to love Dubai! I certainly do. Nevertheless, I will miss the creativity of all my neighbors and their hand made signs. 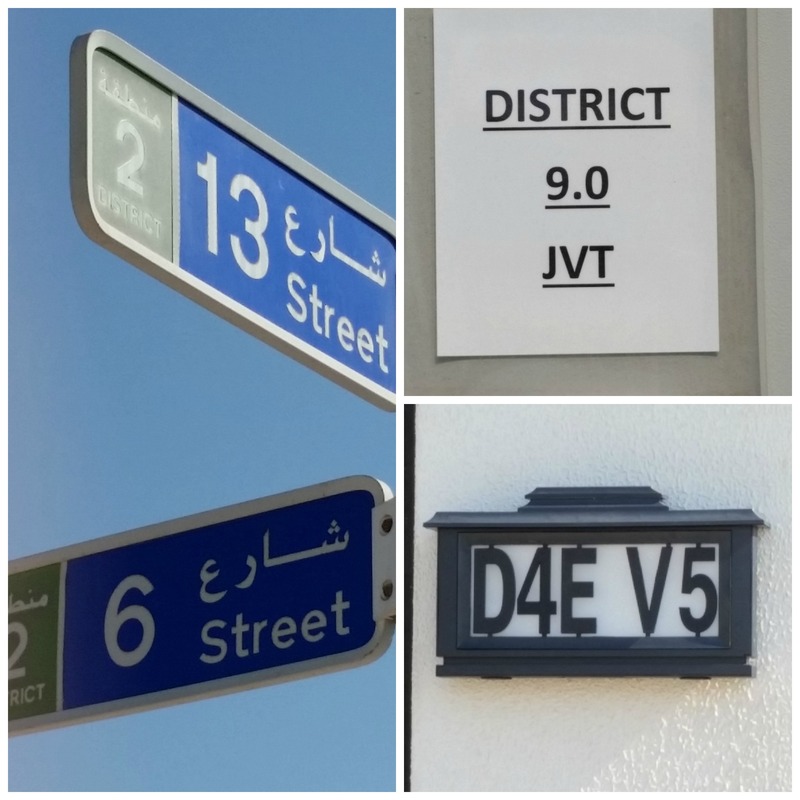 Here are some images of the JVT hand-made street signs (and the few ‘test’ signs made years ago) for the nostaligic at heart. It looks like traffic relief is coming to residents in the JVT, JVP and JI neighborhoods soon. Qarn Al Sabkha road to open Friday. 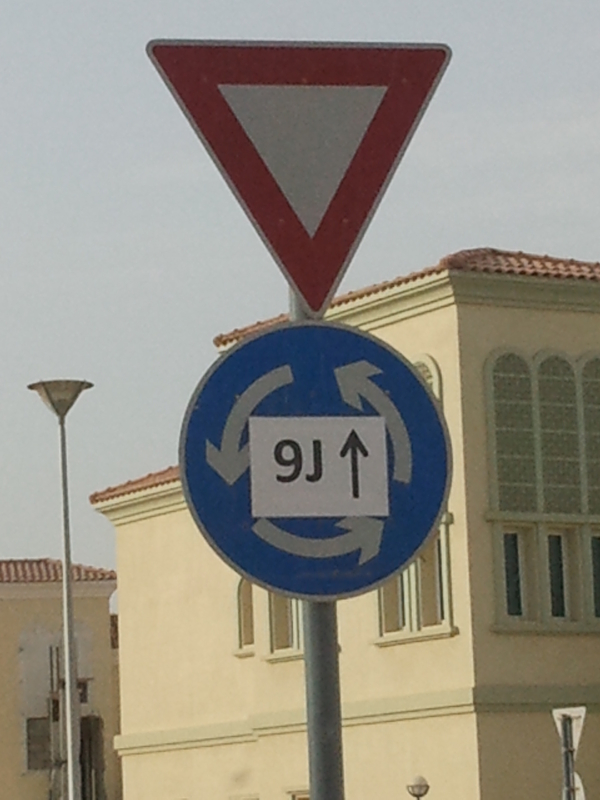 This seems to be the new collection of fly-overs at the far end of Jumeirah Park which will now link all the way to Sheikh Mohammed bin Rashid Road (old Emirates Rd). Here is a picture of the road access being opened Friday morning. Who has tried it? Nakheel has informed residents that road repairs will require road closure as of 21st April. Hopefully this won’t last too long ! • The existing link to Jumeirah Park to be completed as per the relevant standards, this is on the process of approval. • A new road link to be constructed between JVT and The Springs on the other side. Hope this clarifies your queries, for any further clarifications, please do not hesitate to contact us directly. Crazy motorists living in JVT? The Gulf News has recentely reported on the tendancy of JVT residents to jump the red lights. I have seen my share of poor driving and speeding in JVT. I am not defending this unacceptable behaviour. It is worrying when you have young children or risk yourself being struck down at a pedestrian cross walk. Nevertheless, this dangerous practice should not be tolerated. Read the journalist’s account here. Inside the gates – Are you finding your way? Having recently returned to JVT after a long summer holiday, I noticed all the new street indications with joy. Luckily we still have the home-made models that help us get around. Well meaning residents try to make navigating the triangle a little easier! Last week, homeowners received a notice explaining that Nakheel has now decided to help us find our way. It has been nearly four years since the the first homes were handed over. Better late than never as the saying goes! We’ve also learned that these directional signs are only temporary. Yes, at long last we can hope to have actual street signs, preferably on every street corner. With luck, these rare beauties showcased below will make their appearance throughout JVT. Wait and see. Wouldn’t it be nice to have more signs like this. We are pleased to inform you that a decision was made by Nakheel Management to convert Jumeirah Village Triangle into a gated community. Nakheel Asset Management & Infrastructure (NAMI) is committed to providing a safe and secure environment for Jumeirah Village residents. We are strengthening the security by fencing the Community and installing access control systems at each entrance-exit to and from the Community. 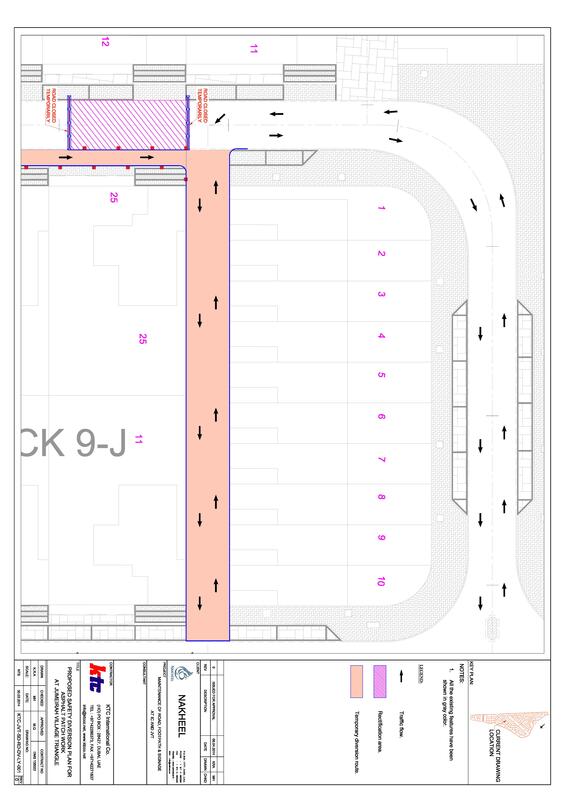 Each gate will be equipped with a gatehouse, barriers equipped with an access control system. We are currently in the procurement phase for the necessary material and works. We will be able to share with you the program of works once made available. On a separate note, kindly note that the directional signage installed recently in the Community are for temporary use only whilst we are procuring the final signage in accordance with the local standards. We have installed the temporary signage in order to improve getting in and out of the Community for residents and visitors in order to avoid waiting for the final signage to be installed. 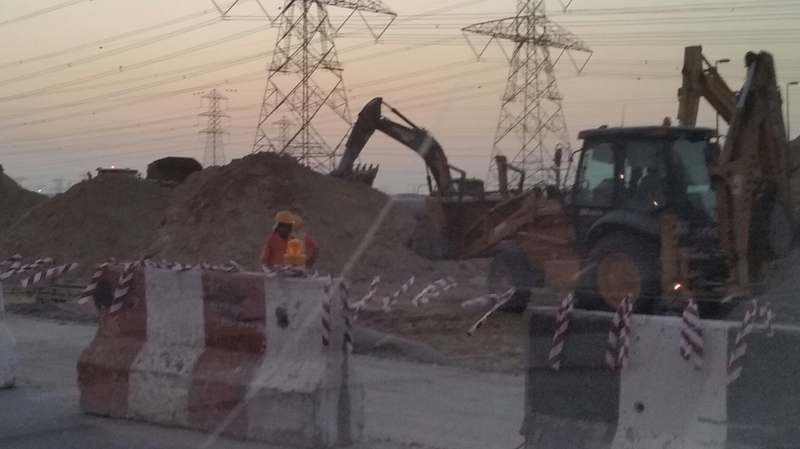 Exit to Al Khail Road now open ! ! Happy National Day to UAE residents and citizens alike ! 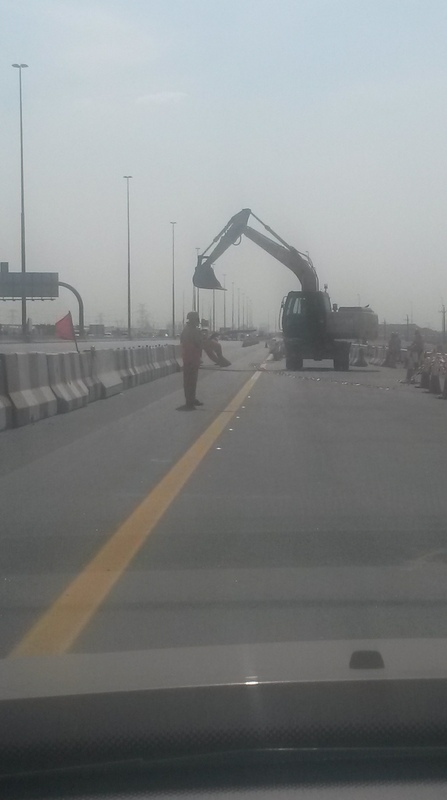 Yesterday, for the first time, we were able to access Al Khail Road in a safe manner. It felt like an early National Day present to all those living in JVT! You no longer need to pass over the gravel path and exit through the back gate cutting across sand and treacherous ditches. The access road to reach Al Khail is open and it’s a smooth ride that now takes you out of JVT. Once out, you can either immediately move over into the left hand lane to enter the round-about and circle back to take Al Khail road toward Dubai. Or you can access Emirates Road in either direction for Dubai or Abu Dhabi. As today is National Day, one must admire and reflect upon the amazing growth of the UAE and particularly on the incredible feats pulled off by Dubai. While some of us may grumble about the road-works and various other inconveniences associated with rapid growth, you must nevertheless appreciate and marvel at the impressive infrastructure of this great city. Of course, we still eagerly await more improvements such as the opening of the u-turn access on the Al Khail round-about that will allow travelers from Abu Dhabi to turn around and return on Emirates Road to access the JVT main gate. Easier access to the Springs road (Hessa street) would be nice as well. With luck, maybe one of those will be our New Year’s gift from Nakheel ! Happy Driving and stay safe on National Day.